Takes Kwaito to another dimension. Thebe is undoubtedly one of the hottest performing artists around fusing different elements to his show and recently started performing with a live band, a first for Kwaito. His show involves the fans with his infectious sing along and his dance moves. After so many years in the industry, married, with three boys, Thebe decided it to reinvent himself in line with his current state and age. Deciding to no longer be the “bad boy” of Kwaito, he teamed up with his long time producer to bring back the “original” Thebe. “I realised I’m not getting any younger and my original fans have grown somewhat as well”, he states. The new album, Thebe The Legend, took two years to record because “we wanted it to be perfect”, he says, and perfect it is. It is a ten-track masterpiece with a very warm and mature sound. The original compositions are distinctly refreshing- evoking authentic expressions of contemporary music. A fusion of Sotho, Xhosa, Zulu and Xitsonga lyrics are irresistibly intoxicating. The producers on this album under the direction of Bruce Dope brought their A game. This time Thebe is in charge of a defiantly singular music vision, one that sees him co-produce, collaborate and delivering performances that will leave fans gasping. He has collaborated with young artists as to not alienate his young fans. He has collaborated with Ifani, HHP, Bloq Magandi and Kruna. 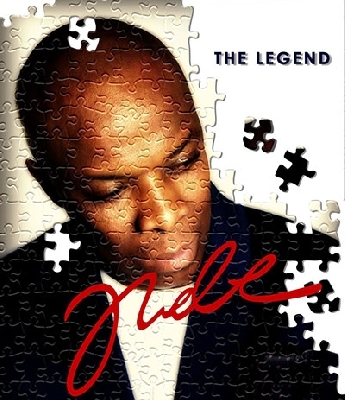 He has also collaborated with Georgie, a popular radio DJ and not forgetting the sultry Zonke. The first single from the album, Thixo Ndiyabulela, is a continuation from Groover’s Prayer, this time thanking God for keeping everyone alive and safe through the perils of the world. I features a young vocalist Bloq Magandi, signed to his own label, Chizboy Records. It is earning a significant airplay and receiving a positive response from listeners and fans at live performances.